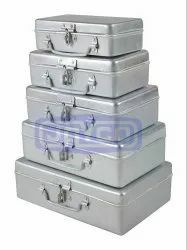 We are offering a wide range of Decorative Tin Boxes to our clients. We manufacture and supply a comprehensive range of 3 Tin Gift Box which is designed as per the international quality standards. These boxes are beautifully crafted to enhance the aesthetic appearance.